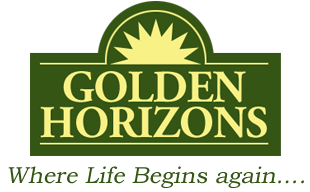 Golden Horizons has developed a Specialized Care Program with the individualized needs of our residents in mind. This program and living environment fits the needs of residents who may be dealing with memory loss or physical limitation where higher staff to resident ratio is an added benefit. We recognize each resident’s awareness and habits, and have designed a senior community that is much like home to meet any medical, physical and social challenges that may be. Our staff detects changes in resident needs and has been trained to modify their care accordingly. 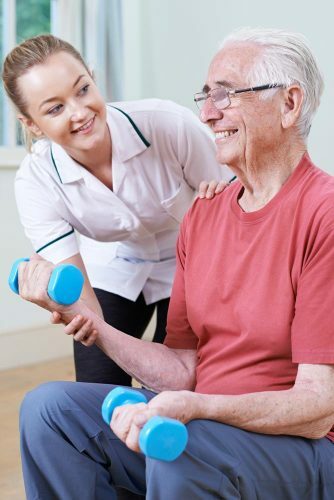 With the residents individual needs in mind, our health care services are tailored to fit perfectly, allowing our residents to maintain the highest level of personal well being. Spacious living room with large screen TV & cozy fireplace so you can enjoy your favorite show or sit by the warm fireplace on a cold winter day. Elegant dining room where you can take in an activity or eat your favorite meal made by our personal chefs. Beautifully landscaped courtyard with flower gardens and walkways. Fire protection system and locked, secured doors 24/7 for your safety. Access to whirlpool therapy room on campus. Access to beauty parlor on campus. Continental breakfast and two home cooked meals per day. Once a week laundry/bi-weekly linen service. Once a week house cleaning. Twice a week shower supervision. 24-hour attendants for your safety & security in a secure building. Coordination of laboratory orders & results and medical appointment.